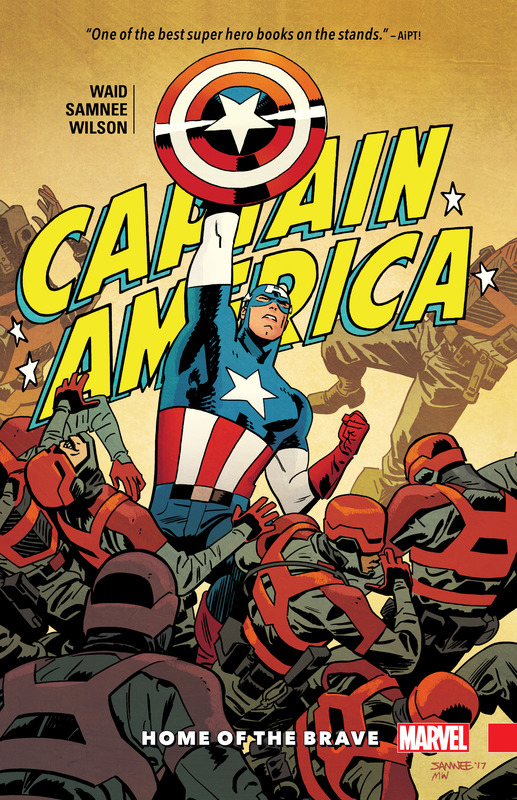 Collects Captain America #695-700. 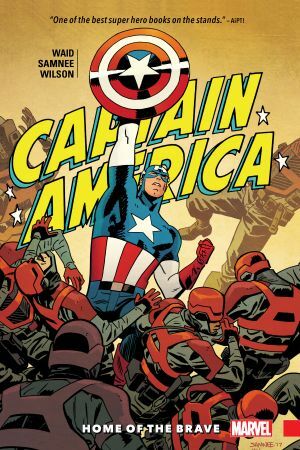 Mark Waid and Chris Samnee, the team supreme who transformed the world of Daredevil and wove a cinematic spy thriller starring Black Widow, reunite to work their magic on the greatest hero of all: Captain America! 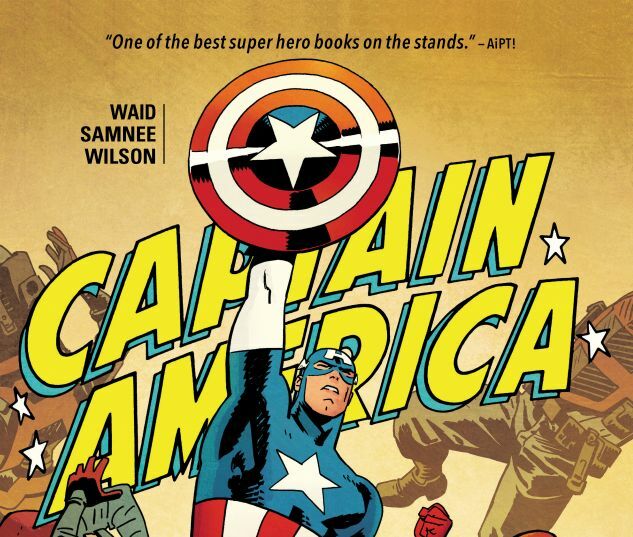 Steve Rogers is back in shield-slinging action and on a journey across the nation he loves to restore his tarnished reputation. But the dangers he encounters require more courage than ever! And when he faces the all-new Swordsman, strap yourselves in for a sword-vs.-shield duel unlike anything you’ve ever seen! Then, in the far future, Cap faces his worst nightmare as a man out of time once again! To save his country, he must adopt his strangest role yet! Be there as America’s living legend is reimagined through the eyes of a pair of living legends!